Today is the Summer Solstice and with about three weeks to go before America’s Independence Day, I think this recipe is a good one to share. 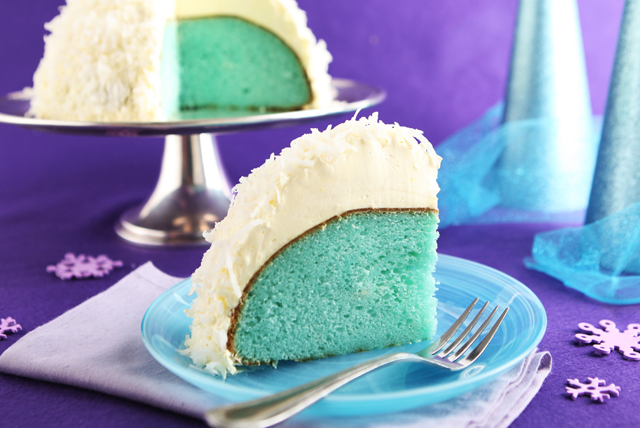 So, for a 4th of July picnic, or just a good ol’ summertime dessert, how about a Coconut Snowball Cake??!! What’s inside a snowball? More snow. What’s inside this coconut-flake-covered snowball cake? A berry colorful surprise, which can also be fun for a birthday boy or girl! Prepare cake batter, in 2-1/2-qt. ovenproof bowl sprayed with cooking spray, as directed on package; scrape side of bowl. Add dry gelatin mix and 1/4 cup milk; beat until blended. Bake 55 min. or until toothpick inserted in center comes out clean. Cool cake in bowl 10 min. Loosen cake from side of bowl with knife; invert onto wire rack. Remove bowl. Cool cake completely. Meanwhile, beat dry pudding mix, sugar and remaining milk in medium bowl with whisk 2 min. Stir in COOL WHIP. Refrigerate until ready to use. Place cake, flat side down, on plate; frost with pudding mixture. Cover with coconut. If you’re intersted, you can get full details for the recipe HERE. This entry was posted in Writing Life and tagged characters, food, links, recipe, Red Dirt Royalty, Tuesday Treats, writing. Bookmark the permalink.